In Isaac Asimov’s classic science fiction saga Foundation, mathematics professor Hari Seldon predicts the future using what he calls psychohistory. Drawing on mathematical models that describe what happened in the past, he anticipates what will happen next, including the fall of the Galactic Empire. That may seem like fanciful stuff. But Peter Turchin is turning himself into a real-life Hari Seldon — and he’s not alone. Turchin — a professor at the University of Connecticut — is the driving force behind a field called “cliodynamics,” where scientists and mathematicians analyze history in the hopes of finding patterns they can then use to predict the future. It’s named after Clio, the Greek muse of history. 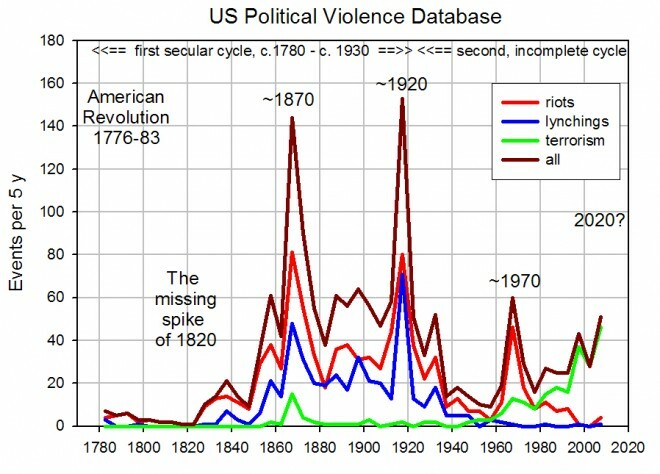 These academics have the same goals as other historians — “We start with questions that historians have asked for all of history,” Turchin says. “For example: Why do civilizations collapse?” — but they seek to answer these questions quite differently. They use math rather than mere language, and according to Turchin, the prognosis isn’t that far removed from the empire-crushing predictions laid down by Hari Seldon in the Foundation saga. 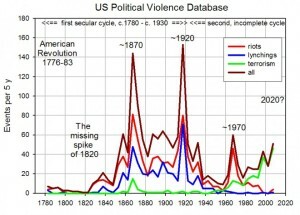 Unless something changes, he says, we’re due for a wave of widespread violence in about 2020, including riots and terrorism. 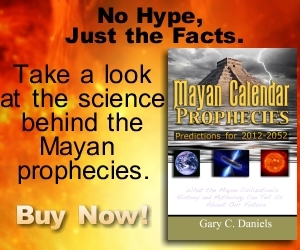 Gary C. Daniels is the creator of TheRealMayanProphecies.com which features his original research into the Mayan civilization, their mythology, astronomy, prophecies and beliefs. He is also the author of the Amazon #1 best seller "Mayan Calendar Prophecies: Predictions for 2012-2052" and appeared in History Channel's "American Maya Secrets," the highest rated show ever for the H2 network. Visit his other websites LostWorlds.org and TheNewWorld.us both of which are focused on the native people of North and South America.